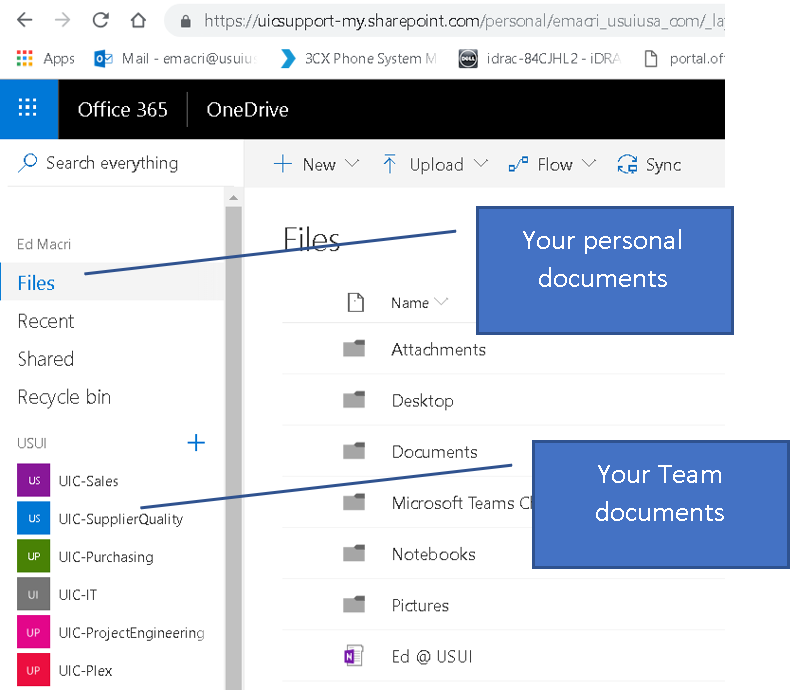 Although the Microsoft Teams app will be very useful for your team, you can also just view files from OneDrive or File Explorer. 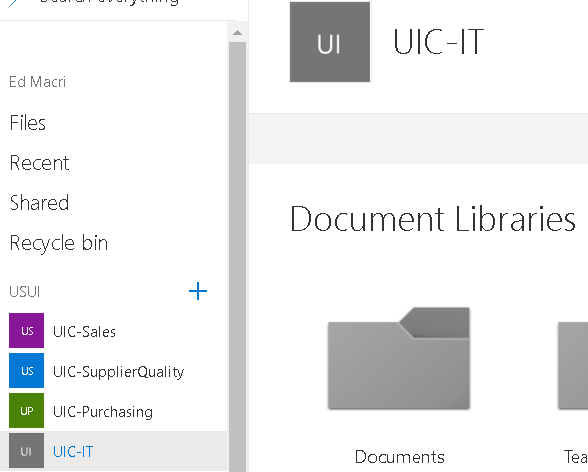 Double click the OneDrive Online icon on your desktop or Select OneDrive from the Apps launcher menu in an O365 web page. 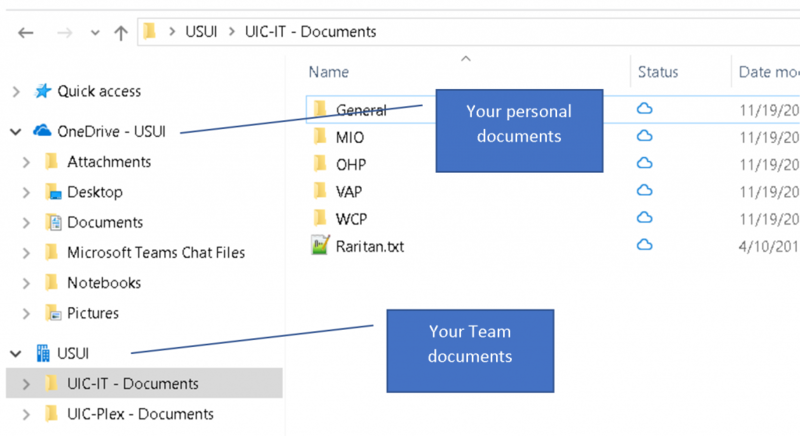 You will then see your folder structure with the teams you belong to on the left side. You may be a member of multiple teams. 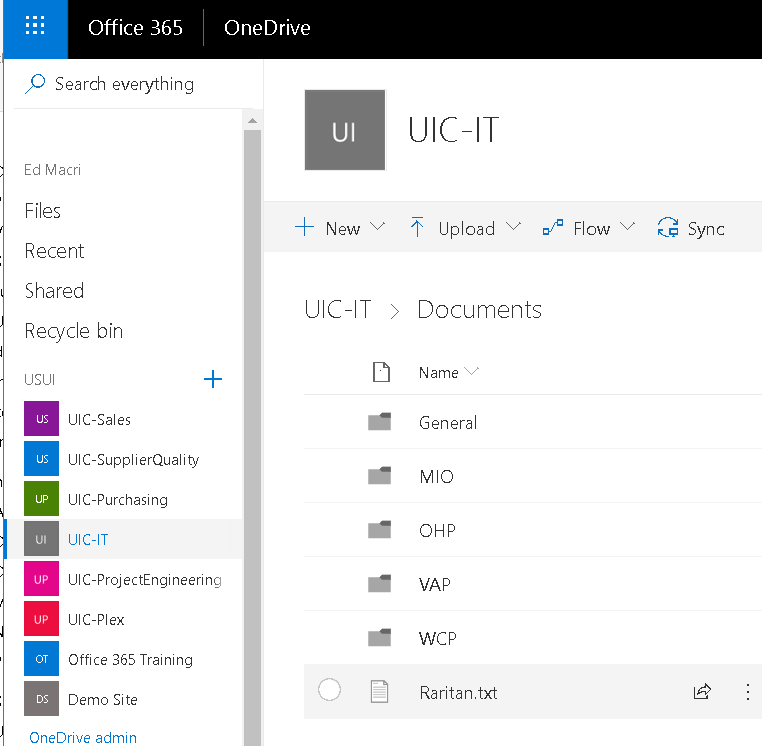 In OneDrive Online, Select the Team Name on the left, then Select Documents on the right. 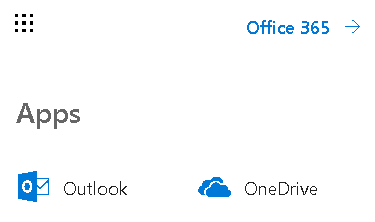 If OneDrive is already running on your PC, just Click X to close the notification after you have read. 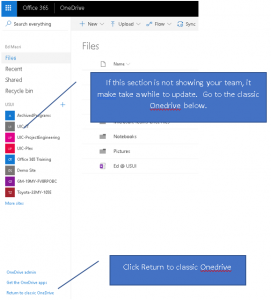 Sign in if needed, and if OneDrive is not running please submit a support ticket. 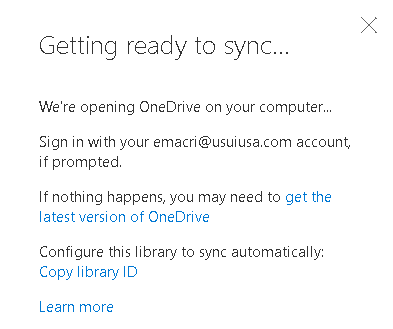 OneDrive should be starting automatically now and syncing your documents. As always if you have any questions, please submit a support ticket at support.usuiusa.com.